We have been members of our local wildlife Trust for many years and they arranged an evening boat trip on 8th June, to look at the wildlife of the seas and celebrate " World Oceans Day." We thought this sounded fun and booked the trip. The trip was cancelled at the last minute due to rain (not surprising!) and winds of over 50 mph. The rearranged trip took place on Friday evening. I am pleased to say the weather was much better and before boarding the boat we managed to enjoy a take away of fish and chips and a spot of people watching by Poole quay. Then something happened to make the evening unforgettable, a pod of 10 dolphins appeared. They swam under and around the boat for about 5- 10 minutes. They were amazing and a memory I shall cherish for a long time to come. The captain told us that that afternoon he had seen them for the first time since the Spring. How lucky we were! They moved so fast and it was such a spectatular sight that it was almost impossible to capture in a photo ! This link will give a feel of what we experienced. I wished we had taken a video of it, but we were just so memorised by enjoying the moment! Sorry my photo is not the best, you can just see the outline of the dolphin if you look carefully! If we had visited in June the cliffs would have been full of breeding birds, unfortunately they had all had their chicks and already departed,, but we did see some puffins in the water, in the distance. Finally, as the sun was going down, we noticed to two ears sticking up at the top of a cliff. They belonged to a deer. As we headed back into Poole harbour , the neighbouring town of Bournemouth had their weekly summer firework festival taking place. So we moored out at sea to enjoy the spectacle. It was a nice end to a wonderful trip, but for me nothing could come close to beating that view on those magnificent dolphins in their natural habitat. 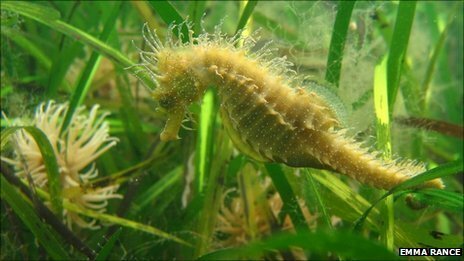 The wildlife Trusts are campaigning to create 127 Marine conservation zones around the coast of the UK there are more details here if you are interested. Welcome to my new followers to Susan (I can't find a link for you- if you have one please let me know), Kathrin and Suzanne thank you for your lovely comments and for joining me! What an exciting boat trip - to see dolphins at such close quarters - wonderful! I am retyping my comment as I am not sure that it was sent to you! What a lovely post and a wonderful evening you both must have enjoyed!! I am sure the memory will stay with you always. I've been following the living seas news and have signed a petition or two related to it, it's so important! What a fantastic experience, I'd love to do a spring trip to an island to those huge seabird colonies. We're hoping to do a boat trip in the summer to one of the welsh 'wildlife islands'. 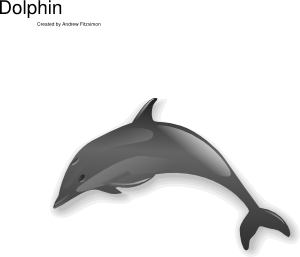 I'd love to sea dolphins at sea, and basking sharks too, what a wonderful experience you had! What a wonderful outing to take the boat trip out on the water and to be lucky enough to see a pod of dolphins. We often see them travelling over in the water, on the ferry and they are really beautiful watching them play and swim around. Thanks for sharing your lovely photos with us. I'm glad you enjoyed your boat trip, judging from your photos it was as you said memorable. There's nothing like seeing animals in their natural habitat and yes I can see the dolphin in your photo. What a fantastic sunset on your last photo too. I'd love to experience something like that - we only have seals that visit our coast - but they are ever so lovely and friendly. What an exciting boat trip. There is nothing like seeing animals in their natural habitat. Watching dolphins on the TV is one thing, but to actually seem them yourself is a completely different story.